Among criteria set forth in 1902 in the will of philanthropist Cecil Rhodes, each scholar must exhibit: literary and scholastic attainments; energy to use one’s talents to the full, as exemplified by fondness for and success in sports; truth, courage, devotion to duty, sympathy for and protection of the weak, kindliness, unselfishness and fellowship; and moral force of character and instincts to lead and to take an interest in one’s fellow beings. Meissner, who carries a grade point average of 4.0, is majoring in anthropology with a minor in sustainability within Auburn’s College of Liberal Arts. 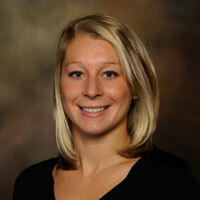 She is currently writing her honors thesis, focusing on community supported agriculture and community gardens. Meissner is a four-year member of the Auburn University Women’s swimming and diving team, where she serves as team captain. A member of four academic honor societies, Meissner has garnered numerous awards for scholastic achievement. 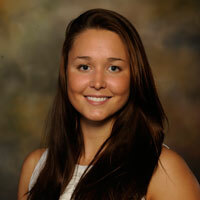 Voss, who is majoring in chemistry in Auburn’s College of Sciences and Mathematics, has a grade point average of 3.91. For the past two years she has conducted research in organic chemistry and is a four-year member of the Auburn University gymnastics team. Among her many academic accomplishments, Voss was named the SEC Gymnastics Scholar Athlete of the Year for 2010 and the winner of the Leah Rawls Atkins Award, the highest honor a female student-athlete can receive at Auburn University. More information about the finalists can be found here.